This image comes from the cover of Preliminary Papers of the Second International Workshop on Artificial Intelligence and Statistics (1989). Someone abandoned it in the lobby of my building at school. Whatever for, I’ll never know. 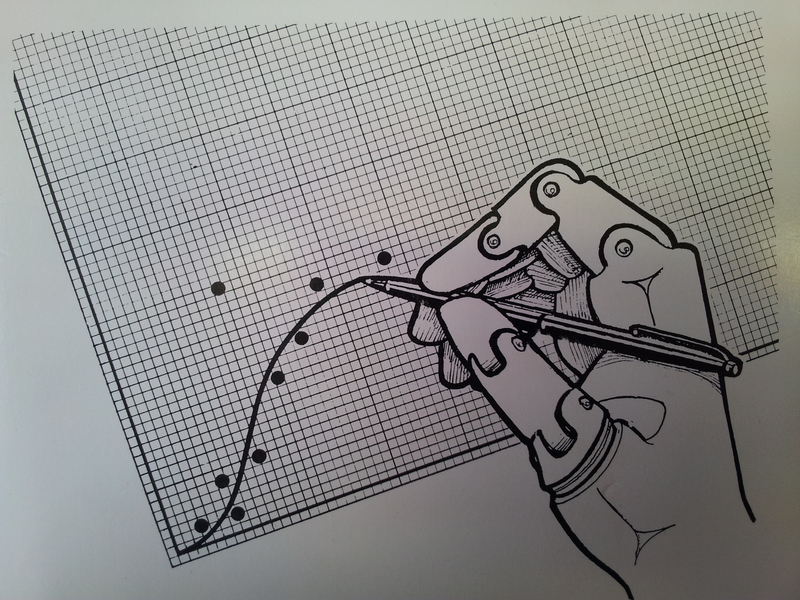 I just love the idea of machine learning/AI/Statistics evoking a robot hand drawing a best fit line through some points on graph paper with a pen. What other funny, or interesting, metaphorical visual representations of machine learning have you seen? Drop a link in the comments and I’ll get my robot arm to compile the results.